Hippity Hoppity Hooray! The Easter Bunny is on its way! Celebrate Easter at The Carolina Inn and enjoy a delicious breakfast or brunch featuring something special. Take a picture with the Easter Bunny, have a blast with Face Painting, and enjoy a fun-filled Egg Hunt! Truly a memorable holiday for the entire family! What's more - Easter means Fridays on the Front Porch will soon return (on April 26th in fact) with great music, food trucks, drinks and more for a classic 'Carolina' experience. But first - brunch! The monthly event returns with events throughout Chapel Hill and Carrboro. Are you up for the challenge? (If not, they have a four-miler as well.) 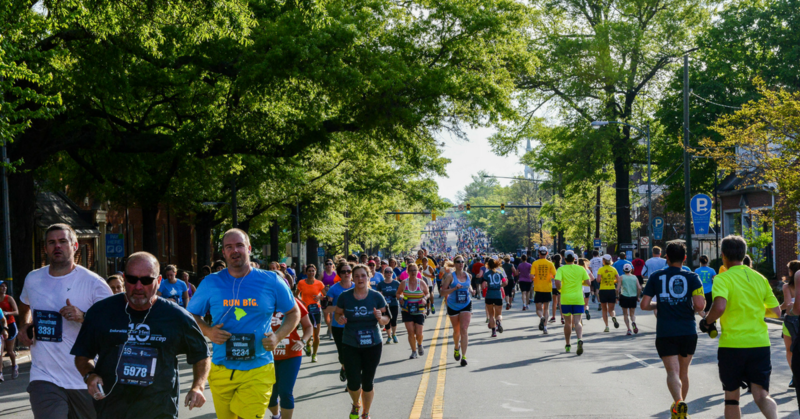 The Tar Heel 10 Miler benefits the UNC Lineberger Comprehensive Cancer Center and the Chapel Hill-Carrboro YMCA’s We Build People Campaign. Monteagle is the solo moniker of American singer-songwriter/ composer Justin Giles Wilcox. Head to Might As Well Bar & Grill on Thursday, April 18th from 5 - 7 PM to raise a glass to your fellow freelancers.